I am raising my two children in Weston. Prospective homebuyers will be feeling the pinch as mortgage rates rise, especially as prices in Toronto hit new record highs. Prospective Westonites stand to benefit, though: prices in Weston are still substantially below the district and city averages, and growth in prices is slow. According to the Toronto Real Estate board, last month the average home in Weston’s district sold for $318,000. This is up only slightly from $313,000 in April of 2009. Weston is still much cheaper than neighbouring areas; in western Toronto (including Weston), the average home sold for $404,000: 27% more than here. The average home in all of Toronto sold for $373,000: 17% more. In what may be a sign that few people know about Weston, homes here sell more slowly than elsewhere. Local real estate spent an average of 31 days on the market, far more than the average of 22 in the western district and 21 for Toronto as a whole. Despite homesellers’ wait, many more properties did sell compared to last year. 104 homes changed owners in sector W04, compared to only 54 in April of last year. This is likely due to the terrible economic uncertainty of early 2009. There is a downside, of course, to the affordable real estate in Weston. Those looking to sell their homes here are unable to capitalize on the large price increases the rest of Toronto has seen. The shakeup in Canada’s cell phone sector has caused aftershocks in Weston. Mobilicity and Public Mobile are new wireless providers starting up in Weston and elsewhere in the GTA. Because newly-available radio spectrum was auctioned in 2008, entrants were able to compete with the three incumbent oligopolists: Bell, Telus and Rogers. They are now are scrambling to lure Canadians out of long contracts, and establishing a beachhead of storefronts has been a part of that effort. Wind Mobile, the first entrant to start selling plans, has had a rough start in part because it had no storefronts of its own, only kiosks in Blockbuster Video stores. Public Mobile and Mobilicity appear to have learned from Wind’s experience and are leasing many locations across the GTA, including in Weston. Mobilicity’s Weston location has been open since the 15th, and Public Mobile’s has been open for about a month. According to emplyees, both have had a slow start, but they are upbeat about building momentum. 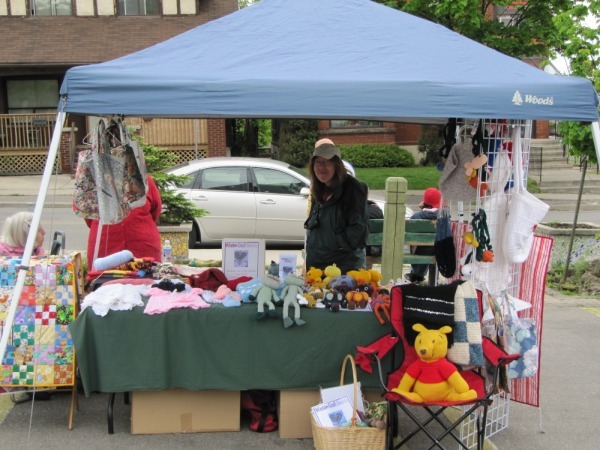 Frances Nunziata explained her decision to vote against the bike lane on University Avenue. She voted to defer the decision on that lane until a study from Fire and Emergency Services had been completed. On the phone Nunziata said that she voted for all the other bike lanes considered last week. She said she would consider voting for the new lane on University when the study is completed and the lane is reconsidered, perhaps next year. You don’t have to go to New Orleans or Detroit to see urban decay. Weston has some appalling rot right on our main street. Buildings need people like people need buildings: just as we die without housing, they die without inhabitants. Decay and mould soon ruin empty properties, so abandoned buildings show deep despair in a community—nobody would abandon a building that had a future. But in Weston, there are several buildings that have been left empty and decaying for years. 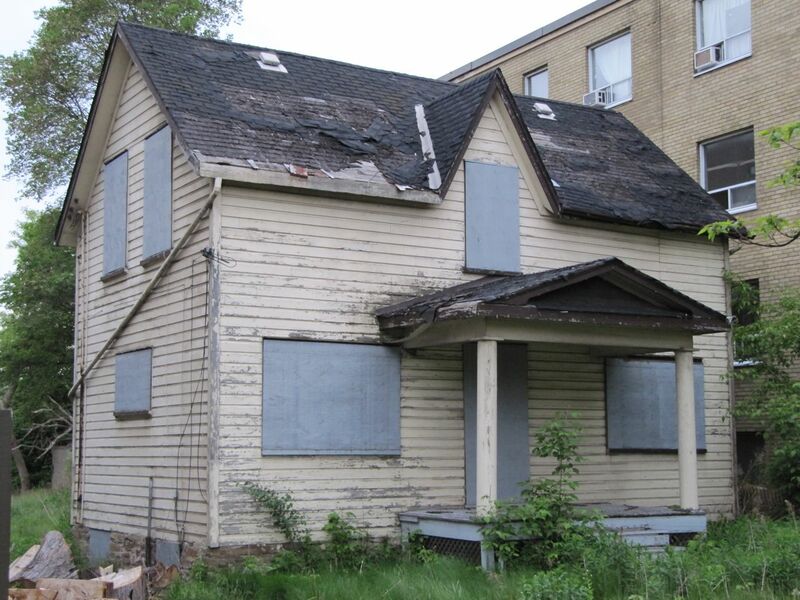 One building in particular, one of Canada’s oldest, has been abandoned for at least 10 years. The Plank Road building at 2375 (or 2371) Weston Road was built in 1841, 25 years before Canada existed. 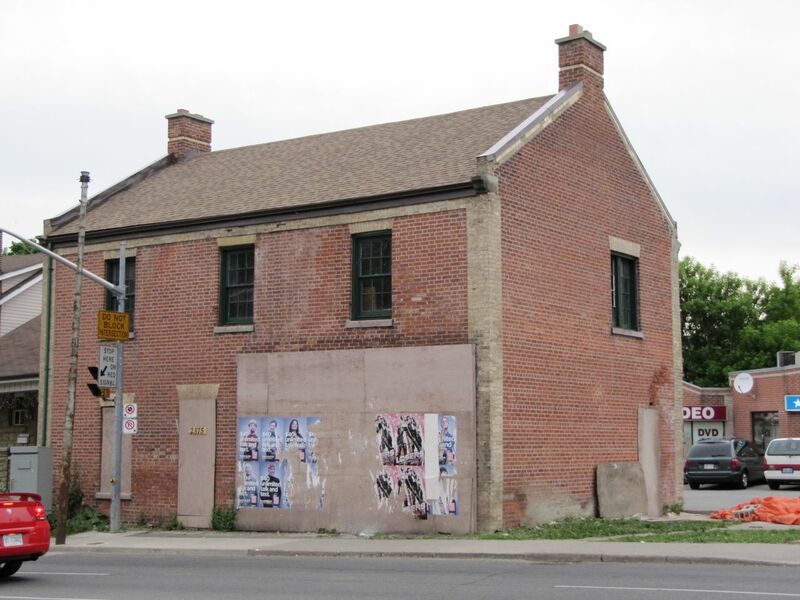 Though it is beautiful and historic, it has been empty for at least ten years; photographs from the Ontario Heritage Properties Database show that it was certainly abandoned in June of 2000, and judging from its condition, it looks to have been abandoned years before that. 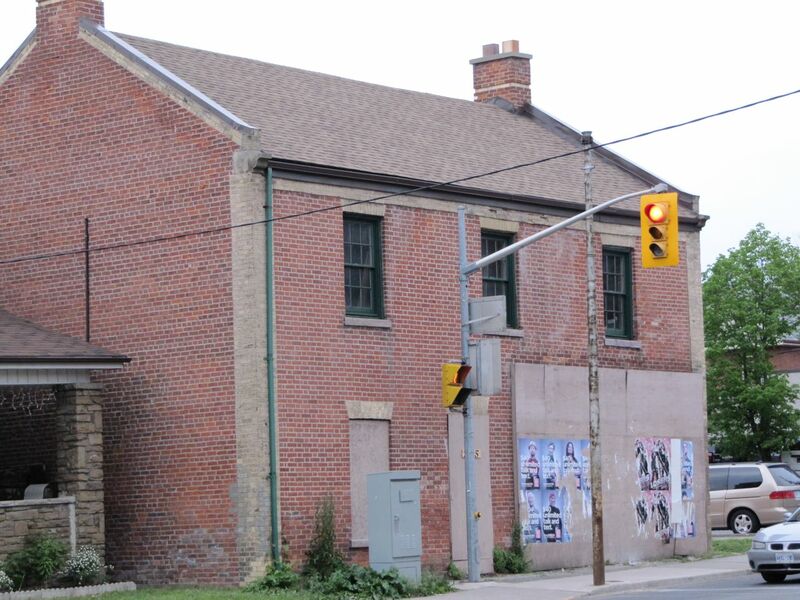 It’s not the only abandoned building on Weston Road, merely the oldest. An old liquor store has been abandoned since at least 2007, when I moved to Weston. It was likely abandoned before that. There is a bright side: behind the store, a very large parcel has returned to nature–it’s completely inaccessible and probably a lovely refuge for wildlife. The most decrepit buildings are certainly two houses on the west side of the street. 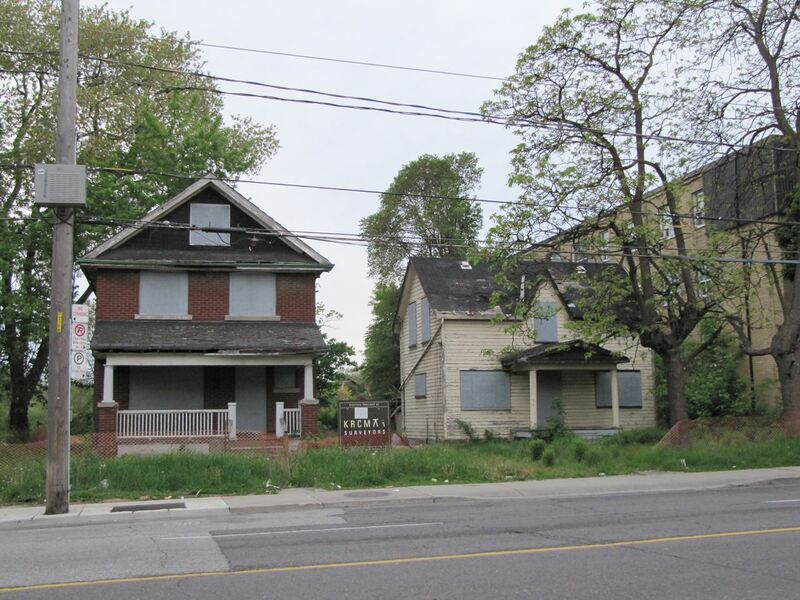 While the Plank house has had a new roof put on and the LCBO looks like it could be salvaged, these two houses are completely ruined. Nobody will live in them again, yet nobody will tear them down. 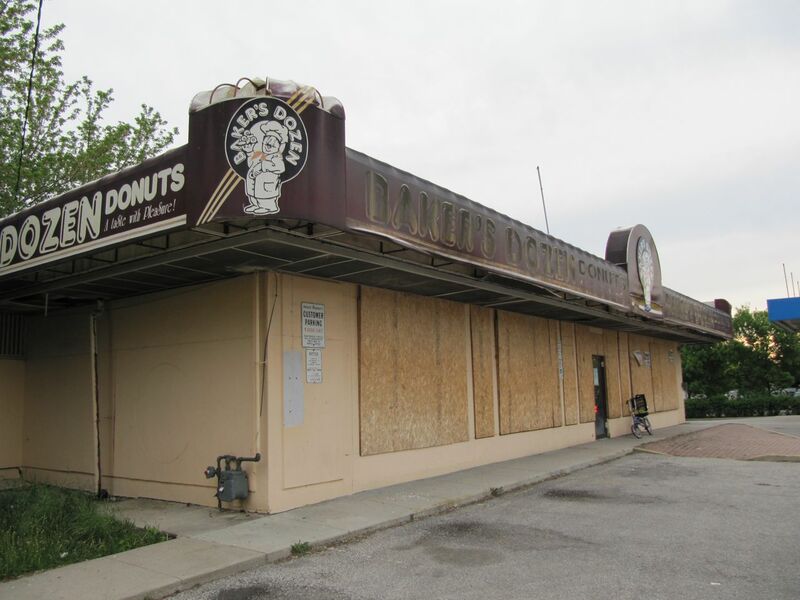 Finally, a burned-out Donut shop at 2562 Weston Rd has the highest visibility. It is right near the highway off-ramp and across from the gigantic grocery store. Its owner has not repaired the store since it was gutted by fire. It, too, has been in this state for many years. All of these properties are on Weston Road, and all are within a kilometer. They exist because businesspeople, politicians, and residents feel our community is a dump. They would not stand anywhere else in Toronto. Metrolinx will soon tell us how much progress they have made studying electric trains. Metrolinx and GO Transit have been studying the possibility of electrifying their part of the transit system since January. 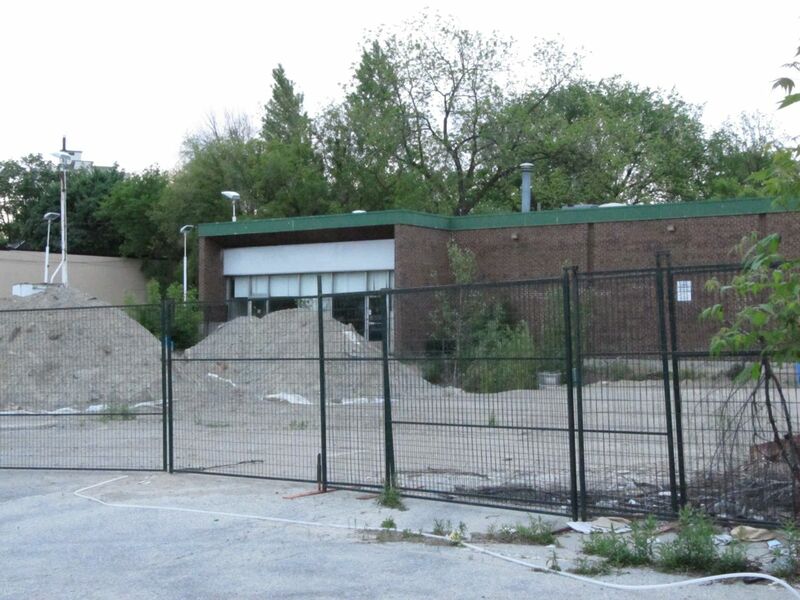 The final report should be finished by the end of the year, and the progress report will be delivered on Thursday, May 27th from 7:00 pm until 9:30 p.m. at the Lithuanian House, 1573 Bloor Street West. Everyone is welcome. Electrifying would eliminate the diesel pollution from the forthcoming Blue 22 and increased Georgetown GO service. These services are set to put as many as several hundred more daily trains through Weston. Lobbying from concerned residents and the Weston Community Coalition has already forced the provincial government and Metrolinx to make several concessions, but they have resisted full electrification. 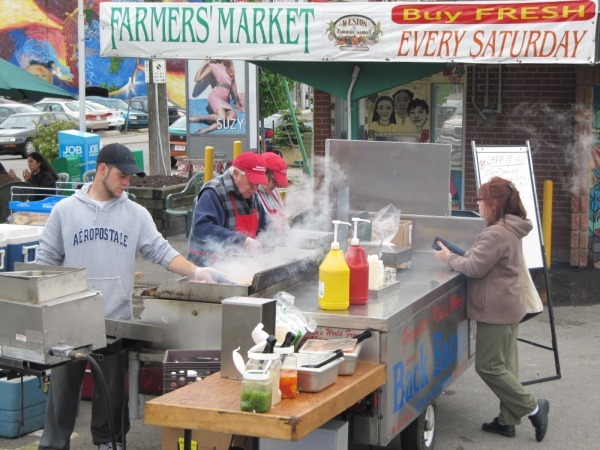 The Farmers’ Market is Open! 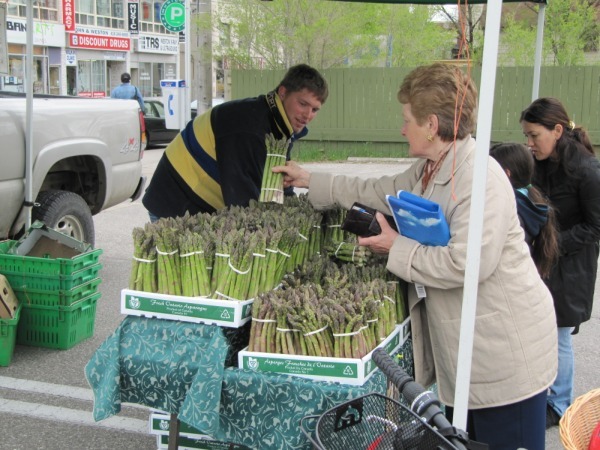 Weston’s wonderful Farmers’ Market opened for the season today. Several old favourites were back–Ken’s Back Bacon Sandwiches, Thames River Melons and The Egg Man put in appearances–and there was at least one promising new addition: The Pie Man from Pie Land. The Pie Man has fantastic Trinidadian beef, chicken and potato pies and wonderful desserts–highly recommended by my entire family. Ken’s sandwiches smelled as wonderful as usual, but he didn’t bring his usual entourage of sous-chefs and assistants this weekend. 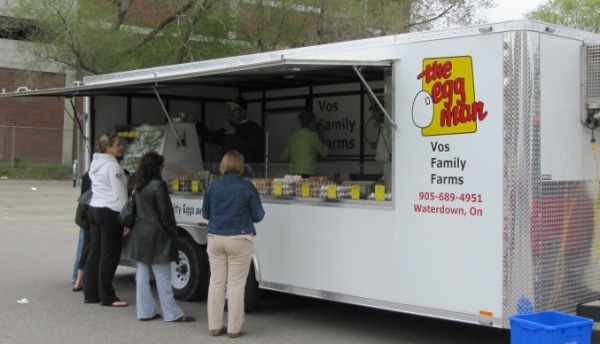 The Egg Man has an excellent new trailer, larger and better than the one he had last year. Saturday was a quiet start to what is sure to be another fantastic season. Frances Nunziata, the city councillor for Weston, voted against putting bike lanes on University Avenue. 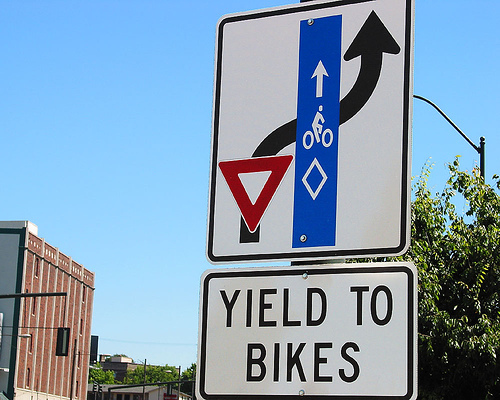 The bike lane project almost passed on Wednesday night; an accidental misvote by Paula Fletcher nixed the project.